This jay was perched on the tray of our tube feeder for almost a whole minute. I had time to get my camera and focus on this normally flitting, flapping, hopping, squabbling creature. Blue jays, like other corvids, are highly curious and are considered intelligent birds. Perhaps this one is lost in thought. 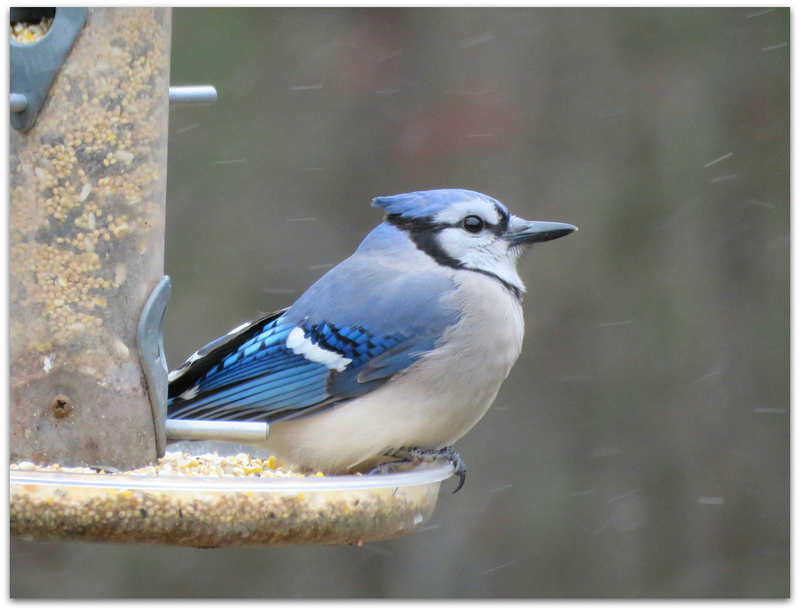 This entry was posted in Uncategorized and tagged birds, Blue Jay on December 8, 2014 by Amy.